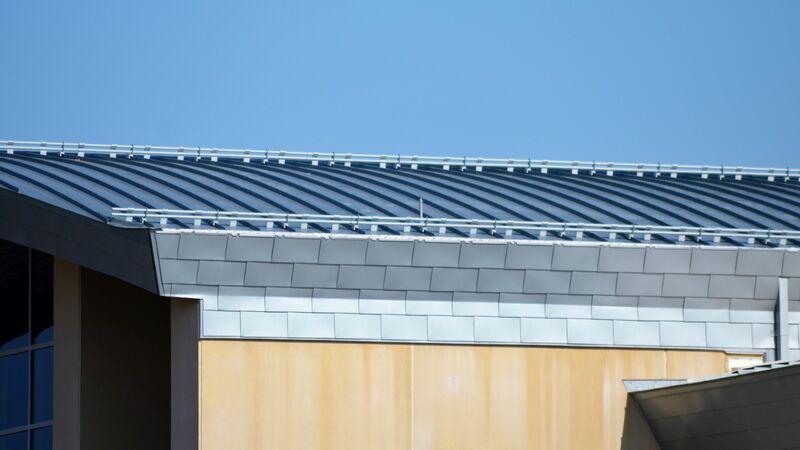 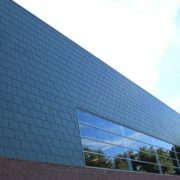 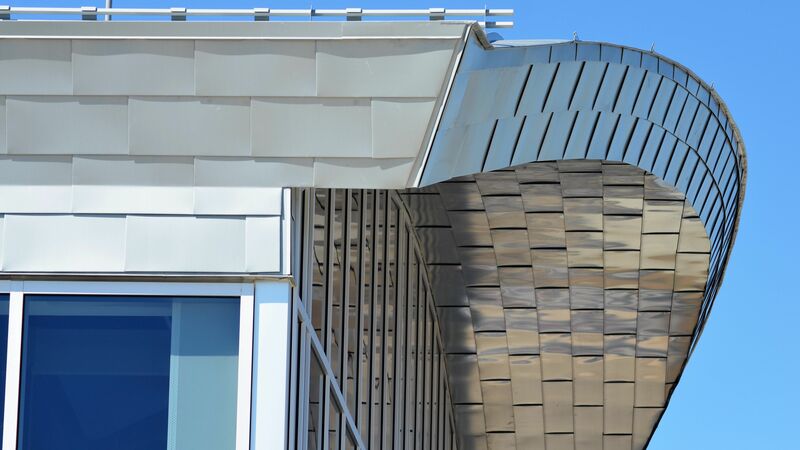 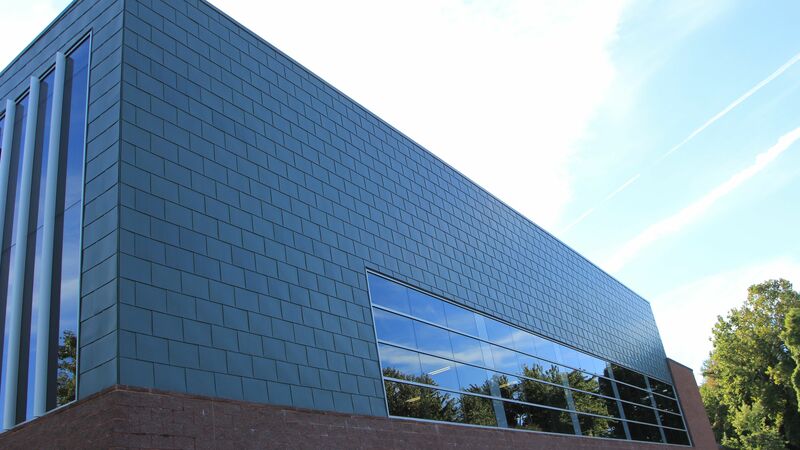 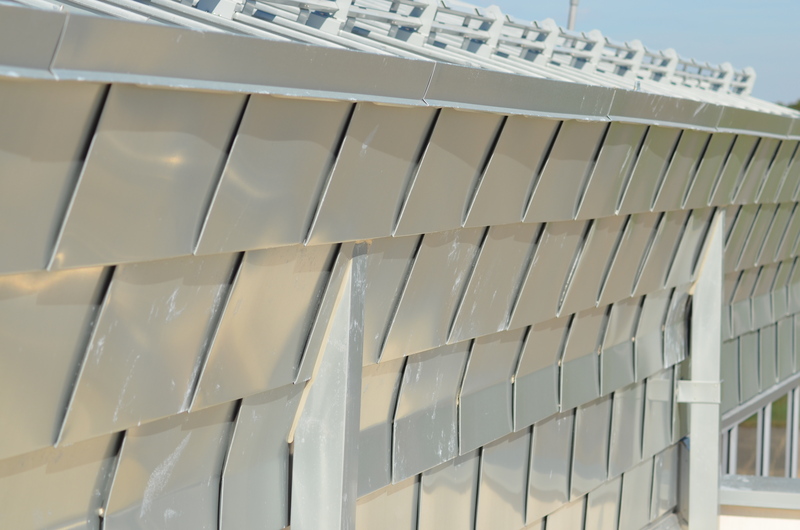 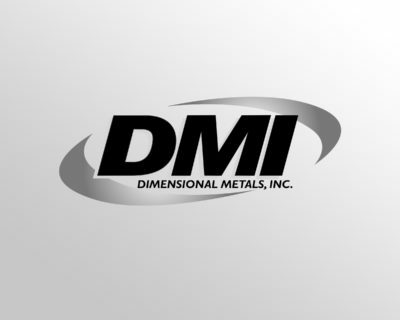 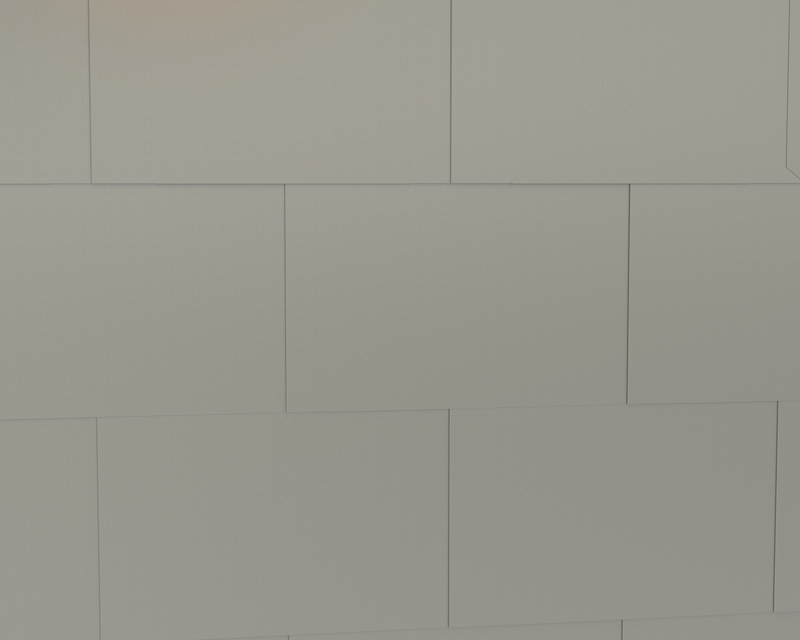 Flat-Lock Custom Overlapped Tile Wall Panel System Dimensional Metals, Inc.
FLAT-LOCK (FLPA) panels are a shingle-style panel system utilizing integrated concealed clips that can be custom fabricated to your exact size specifications. 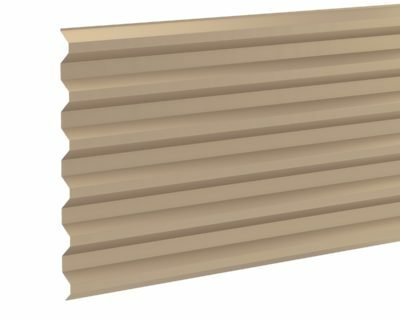 These panels allow a tremendous amount of creativity in design as they can be installed vertically, horizontally or diagonally (diamond pattern) in a wide range of heights and widths. 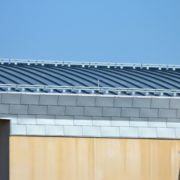 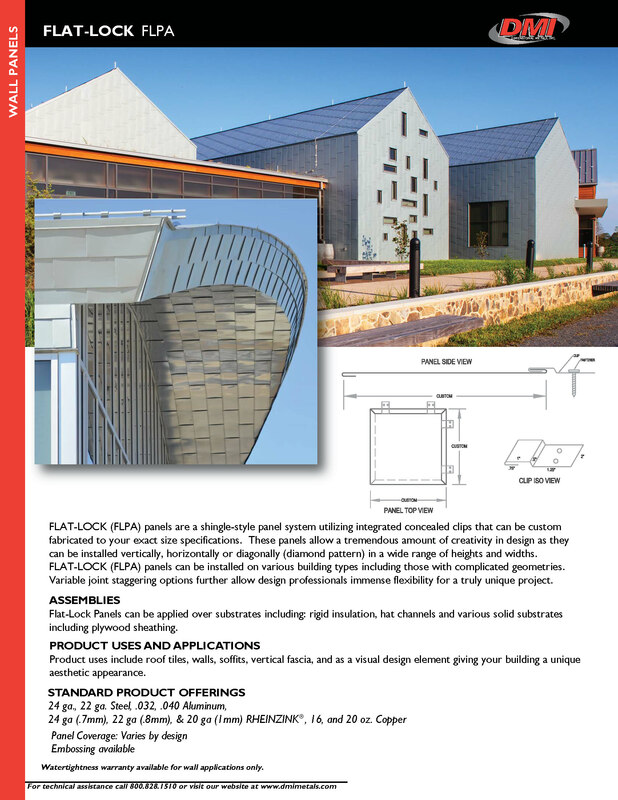 FLAT-LOCK (FLPA) panels can be installed on various building types including those with complicated geometries. 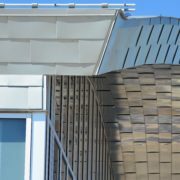 Variable joint staggering options further allow design professionals immense flexibility for a truly unique project. 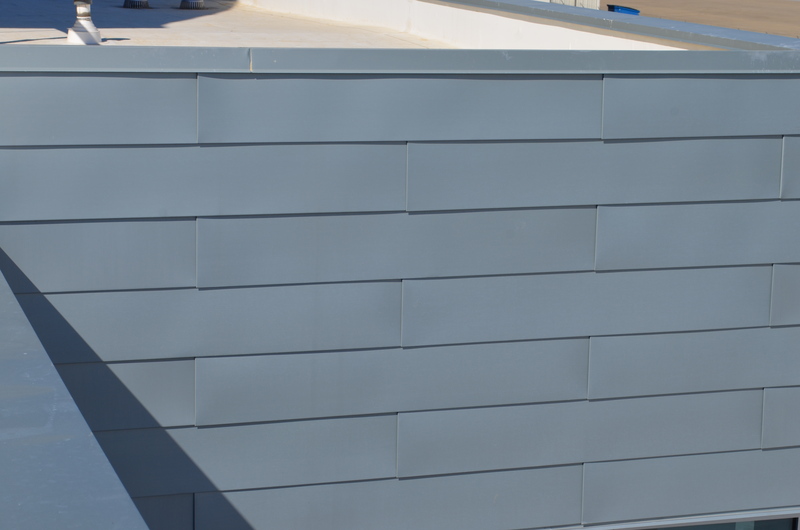 Flat-Lock Panels can be applied over substrates including: rigid insulation, hat channels and various solid substrates including plywood sheathing. 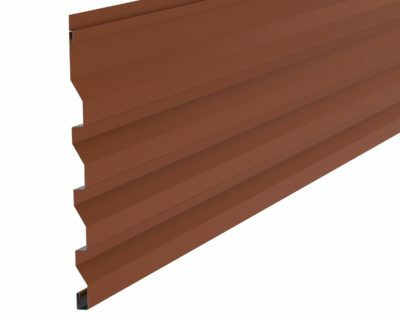 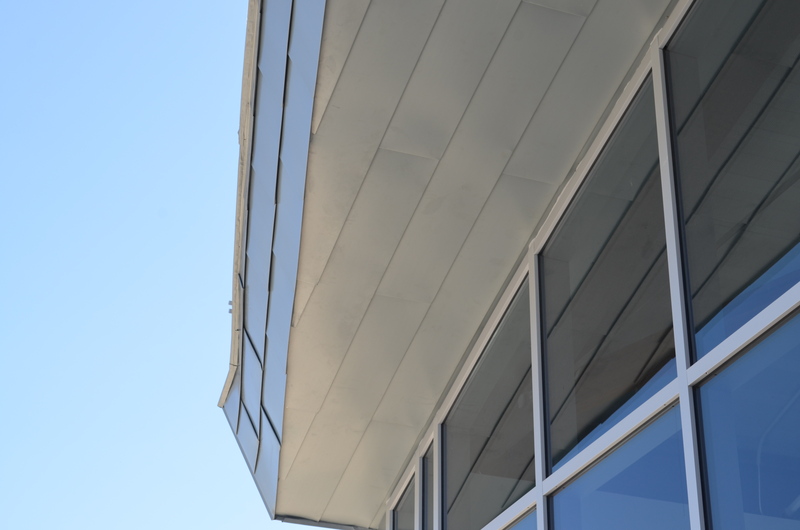 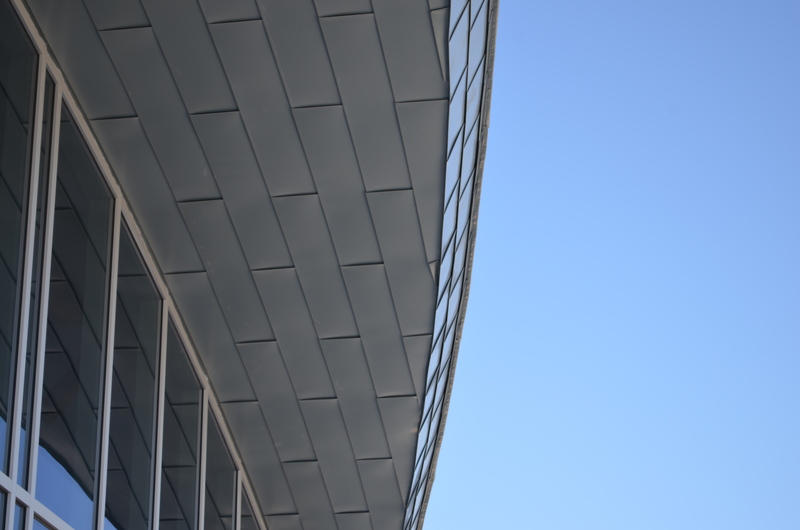 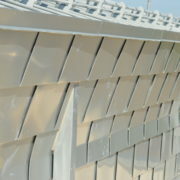 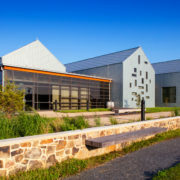 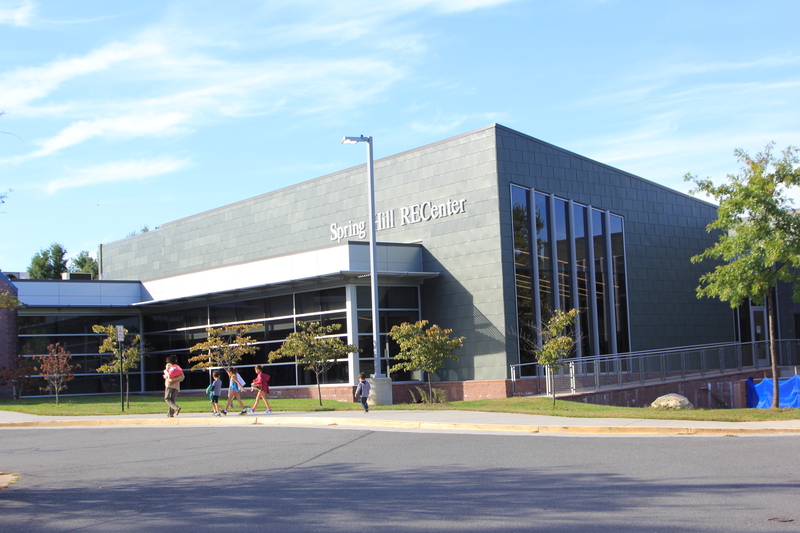 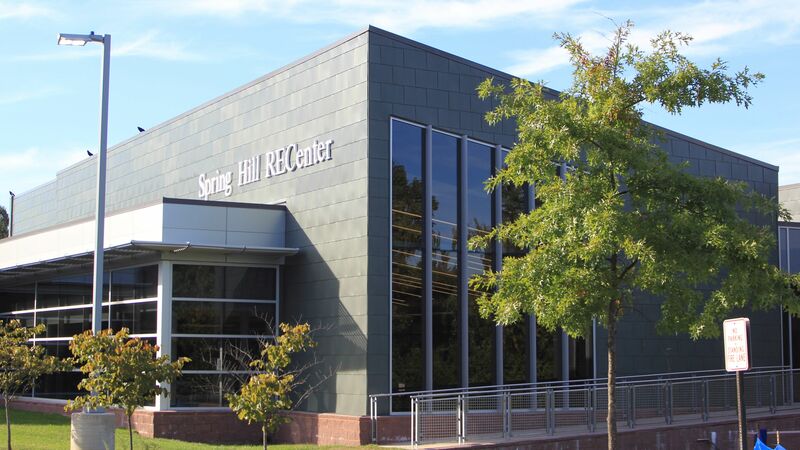 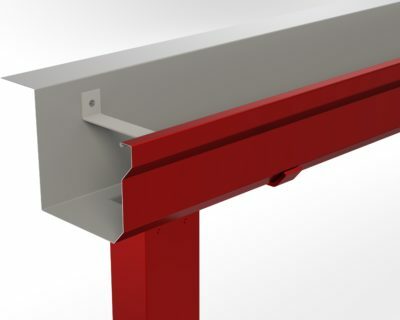 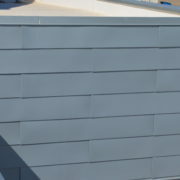 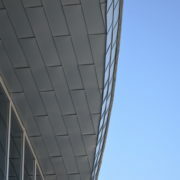 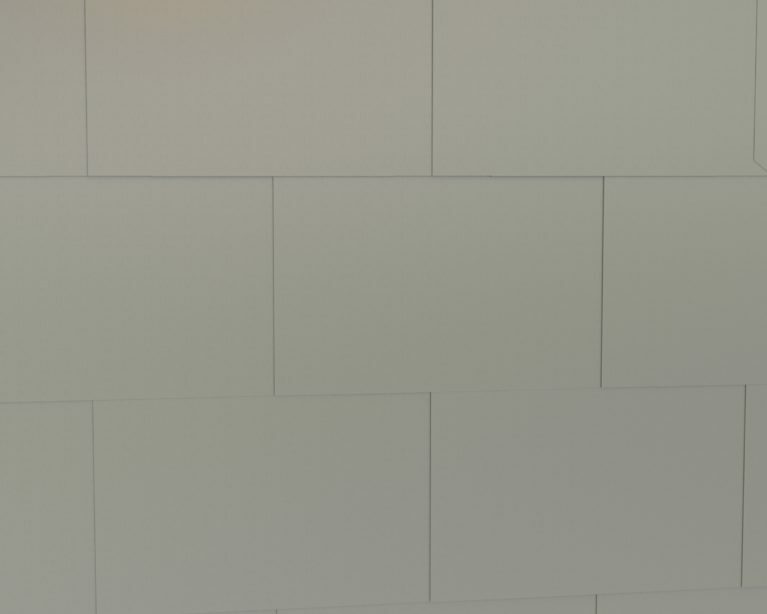 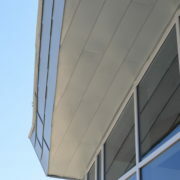 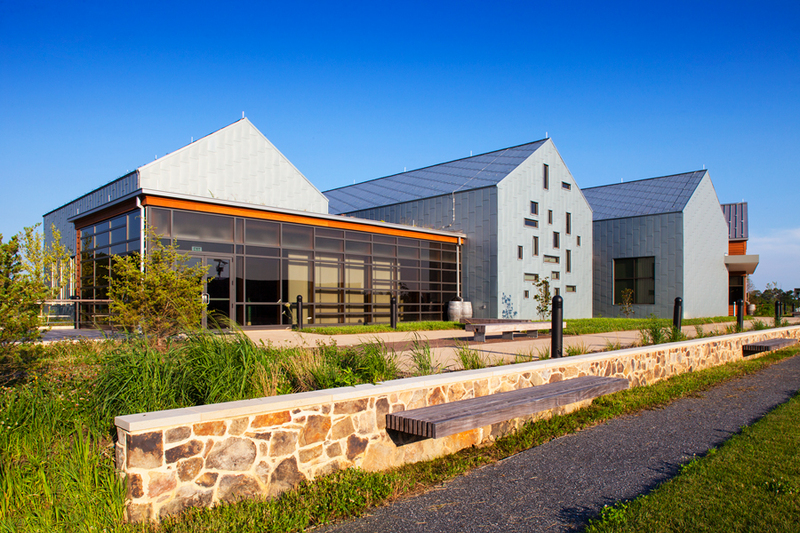 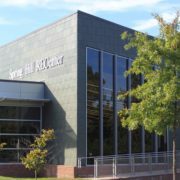 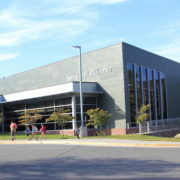 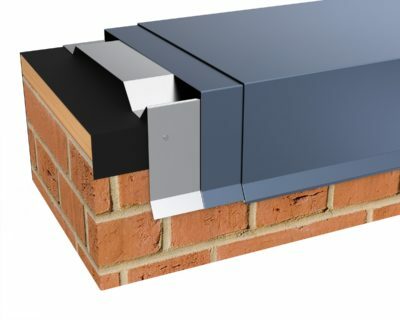 Product uses include roof tiles, walls, soffits, vertical fascia, and as a visual design element giving your building a unique aesthetic appearance.